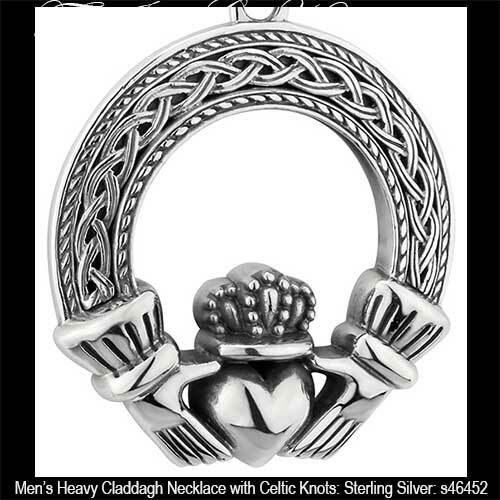 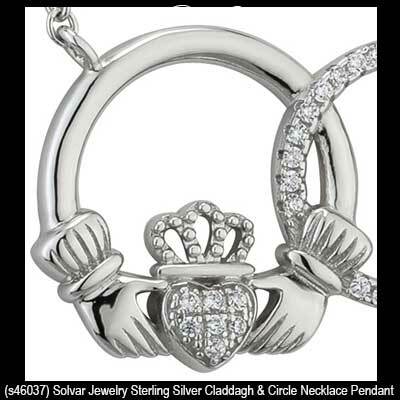 Sterling silver Claddagh necklaces are featured in assorted sizes. 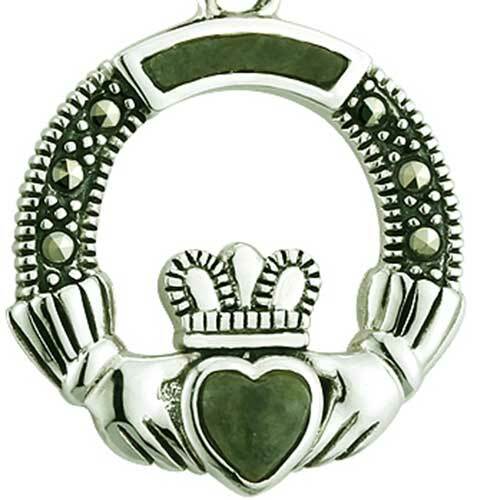 Several of these Claddagh pendants feature Celtic knots and others include Connemara marble. 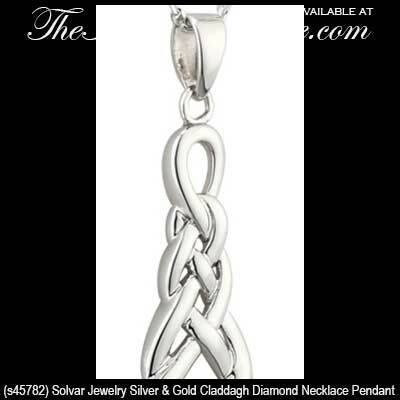 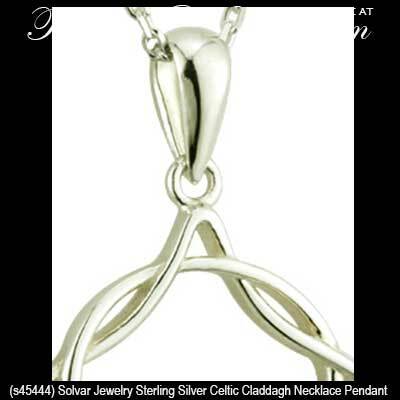 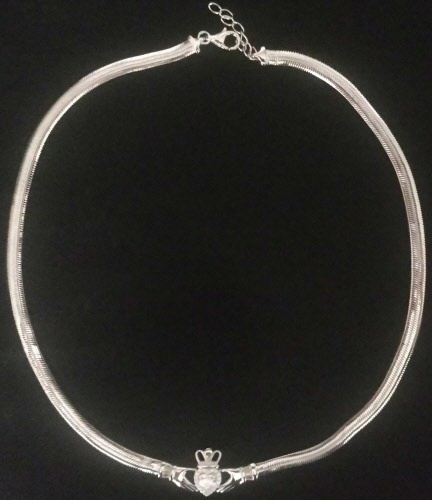 The Irish Gift House offers dozens of sterling silver Claddagh necklaces that range from traditional designs to the contemporary with Trinity knots or stones. 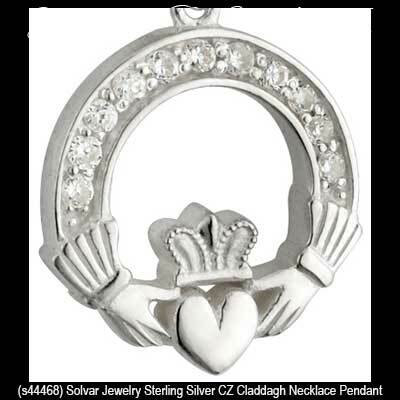 Several of the silver Claddagh pendants, including the birthstone necklaces, feature crystal hearts and we also have several with marcasite stones. 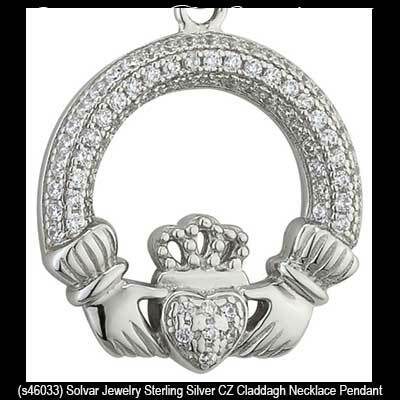 All these Claddagh necklaces include a sterling silver chain; they are all made in Ireland and hall marked by the Irish Assay Office at Dublin Castle. 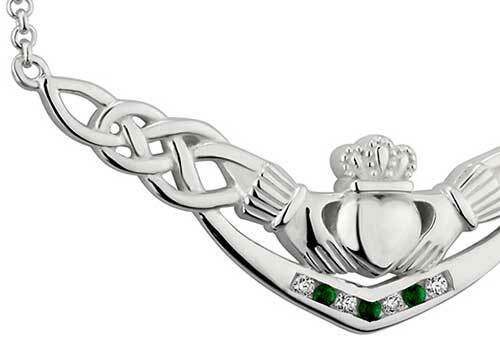 Claddagh necklace in sterling silver features a necklet style design with an integral snake chain and a green CZ stone heart. 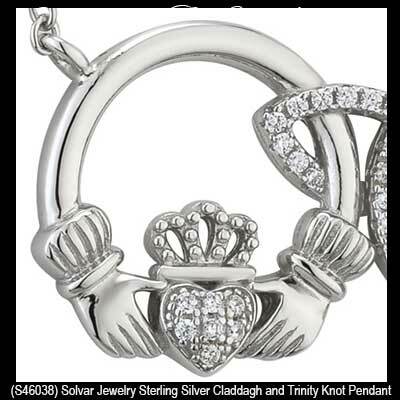 Claddagh necklace is a sterling silver design that features a necklet style with an integral snake chain along with a CZ stone heart. 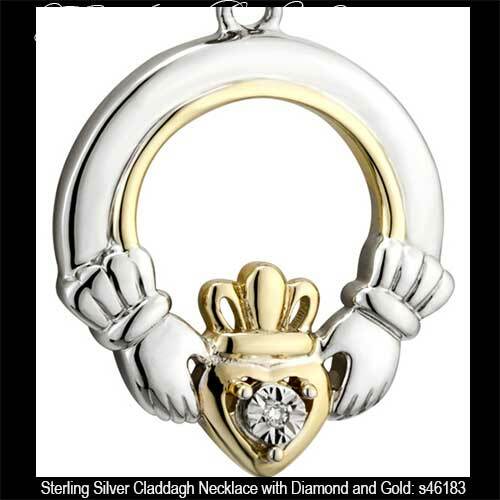 Sterling silver Claddagh pendant features a diamond heart along with 10K gold accenting. 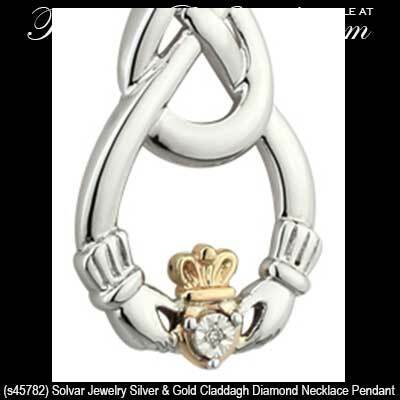 Sterling silver Claddagh necklace features a diamond heart along with a Celtic Trinity knot and gold accenting. 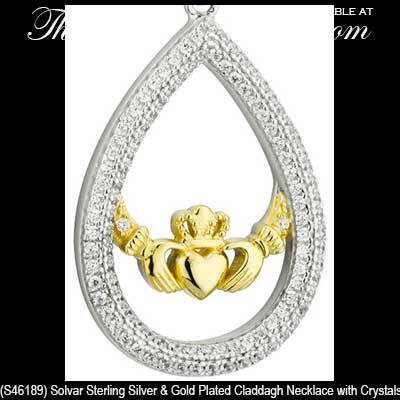 Claddagh pendant is a sterling silver design that features a 10K gold heart along with an engraved border with accent diamonds. 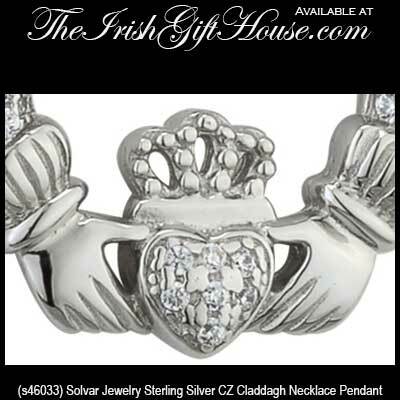 Sterling silver Claddagh necklace features a row of CZ stones that are set in the channel above the cuffs. 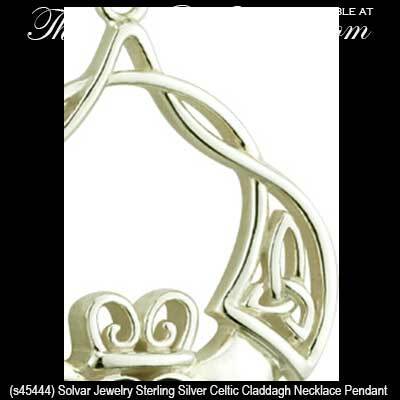 Sterling silver Claddagh necklace features filigree Celtic knot-work along with a crystal heart. Claddagh necklace is cast in sterling silver and features Celtic knot-work along with glass stones. 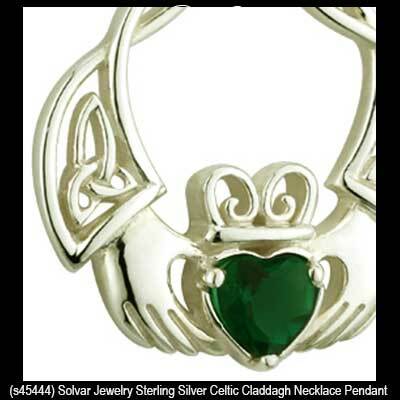 Claddagh necklace is crafted in sterling silver and it features Celtic knot-work along with a green crystal heart. 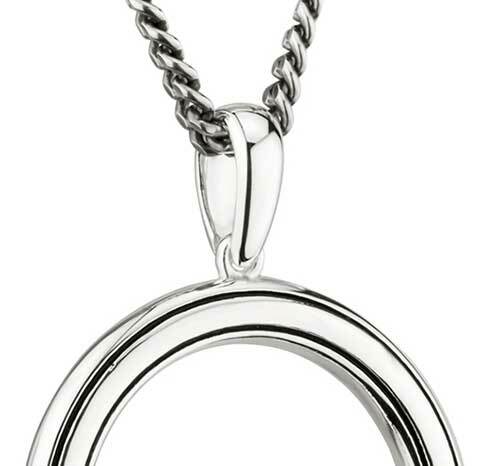 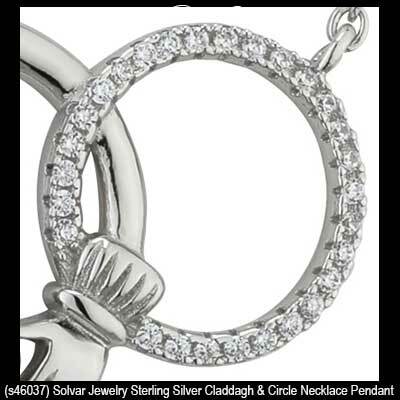 Sterling silver Claddagh necklace features an Interlocking circle with CZ stones. 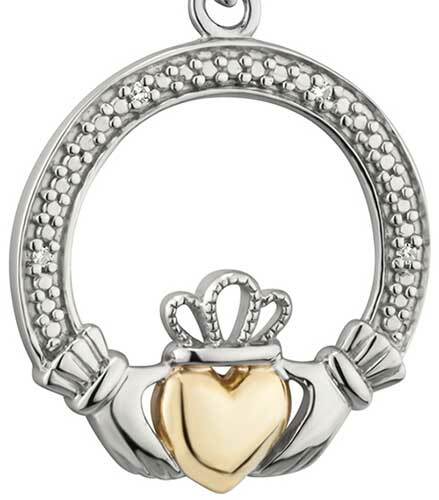 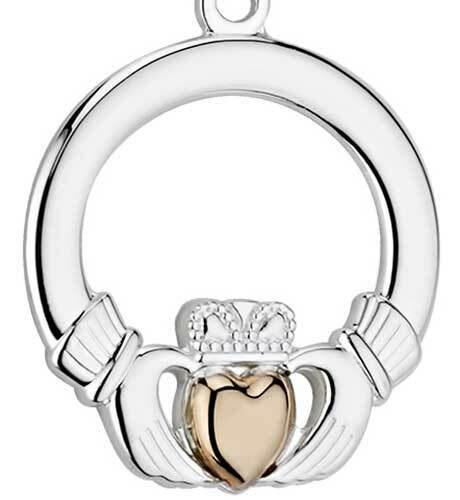 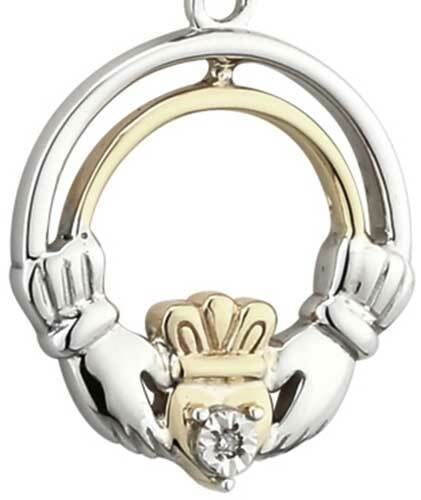 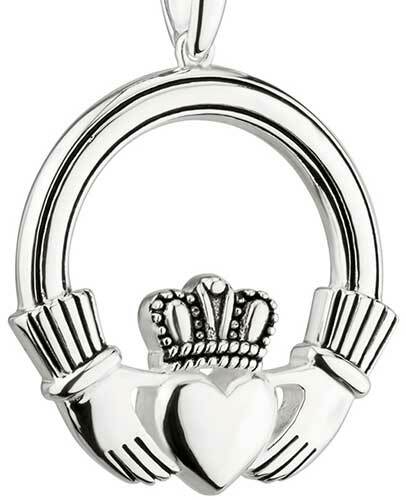 Claddagh pendant is a sterling silver design that features a 10K gold heart. 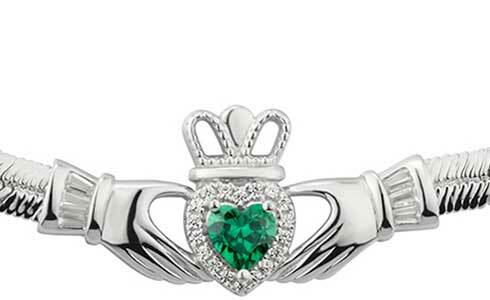 Create a matching set of Irish jewelry by adding a sterling silver Claddagh ring to your necklace selection. 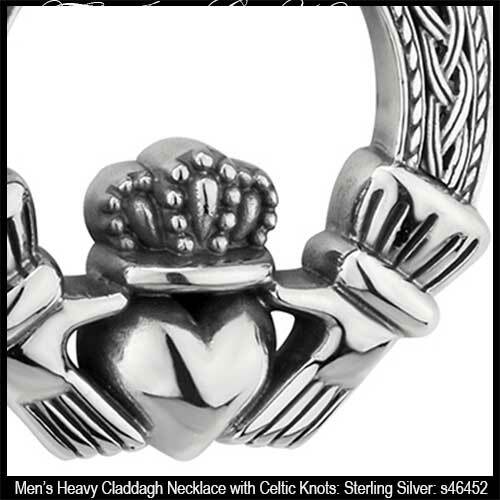 You may also want to look at our selection of the very fashionable Claddagh earrings in sterling silver along with the assortment of Claddagh bracelets; we have a large selection in both categories and you are sure to find either matching or complimentary pieces. 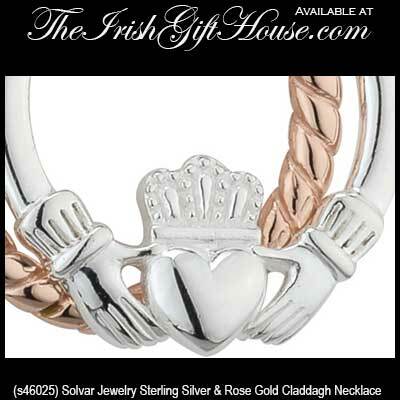 This Irish jewelry that we have mentioned is for the ladies, but we also have selections for gentlemen. 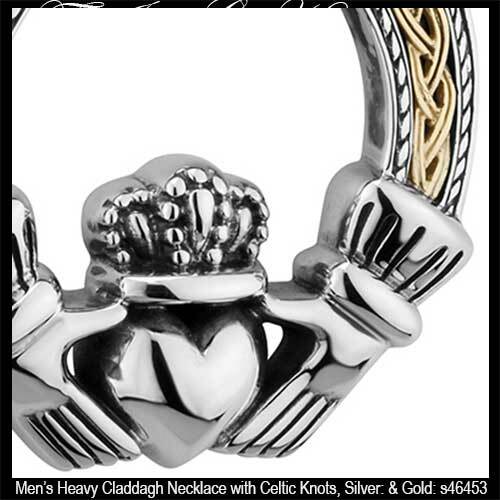 Please take a look at our men's Claddagh rings or for business or a formal occasion we have a grand selection of Claddagh cuff links. 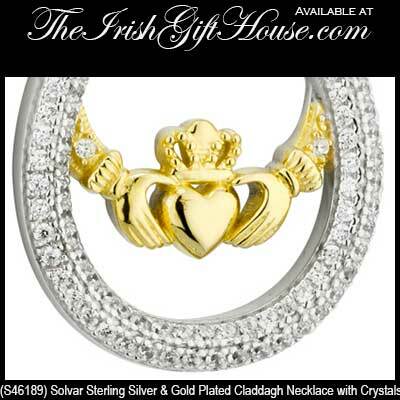 Browse our Irish baby jewelry if you would like to see our smallest designs that includes sterling silver Claddagh necklaces.